 The CPAs at Williams & Parsons are experienced in all aspects of US Tax with US Citizens living abroad. Our office is located in Sandpoint, Idaho, just an hour south of two US/Canada border crossings. Alternatively, we use a secure client portal system for those clients that prefer to electronically correspond with us. We assist hundreds of foreign US Citizens with their US Income Taxes and have helped numerous taxpayers with Streamlined Filing, often completely via email and telephone. FBAR stands for Foreign Bank Account Report. The US Treasury has the authority to collect information from United States persons who have financial interests in, or signature authority over, financial accounts maintained with institutions outside of the United States. The Treasury requires that a Report of Foreign Bank and Financial Accounts be filed if the aggregate maximum values of the foreign financial accounts exceed $10,000 at any time during the year. It is entirely legal for US citizens and residents to own and have interest in foreign accounts. The FBAR was designed as a way for the US government to identify people who are trying to hide income or assets by placing cash in foreign banks, brokerage accounts or through the use of nominee entities. However, that effort to locate tax cheats also hits ordinary US citizens who happen to need a foreign account. The failure to properly disclose those foreign holdings, as well as the failure to include income from those assets on a tax return can result in serious consequences. Entities created or organized in the USA, such as corporations, partnerships, LLC’s, Trusts and Estates are also subject to FBAR requirements. Financial account(s) that need to be reported on the FBAR essentially include all financial accounts that you have a financial interest in or have signing authority on the account. The FBAR must be submitted by June 15th of each year. The time to file the FBAR can be extended to October 15, along with extending your individual tax returns. The Foreign Accounts Taxation Compliance Act has had a tremendous impact on increasing the pressure on US expats to file their tax returns. The Foreign Accounts Taxation Compliance Act (“FATCA”) requires all foreign banks to disclose the financial information of any American citizen with assets over $50,000 in banks, brokerage accounts and other financial assets outside of the US. Steep penalties add muscle to the law. If a foreign bank fails to report a US citizen who is their customer to the IRS, the US Treasury can slap a requirement to withhold 30% on transactions between that bank and US institutions. From our discussions with Canadian financial firms, this compliance effort will not be taken lightly. Canadian banks and other institutions must now meet this new reporting requirement. Starting in early 2015, Canadian financial firms started requiring their American customers to provide the necessary information so that their accounts could be reported to the IRS correctly. Thus, for two years now, the IRS has been receiving financial account information on US Citizens that, in many cases, have not filed US income tax returns for many years. The US, unlike most countries, taxes its citizens on their worldwide income, regardless of where they live. This means that US citizens living outside the US still has an annual US Income Tax filing requirement. In most cases, the US citizen will not owe any US income tax. However, a US Citizen living abroad has additional annual financial disclosure requirements that, if not filed, have significant penalties. For example, the penalty on not filing an annual FBAR report can exceed 50% of the foreign account balance. In almost all cases, this means that US expats will need to file US Income Tax and Informational Returns. It is important to understand that FACTA has changed the game. If you have not filed US taxes in the past, or did not know that you have US filing tax requirements, then you must now take steps to correct this common misunderstanding. One such corrective step is to take advantage of the current IRS amnesty program called the Streamlined Filing Procedure. The Streamlined Filing Procedure allows US citizens to file back-tax returns and financial disclosures without incurring any civil or late penalties for failure to file.